Researchers at the University of Oxford have reached a new milestone in networking by using light fidelity (Li-Fi) to achieve bi-directional speeds of 224 gigabits per second (Gbps). To put this in perspective, 100Gbps fibre optic core networks have only become a reality in recent years and have yet to become ubiquitous. Li-Fi is still a long way from being used commercially, but by way of illustration, using a 224Gbps speed would technically allow for 18 movies of 1.5GB each to be downloaded in a single second. The technology is being developed as a potential alternative to Wi-Fi, and because it uses visible light spectrum to transmit data, when coupled with a high-speed fibre internet connection, researchers believe this can offer speeds far greater than those attained by existing contemporary Wi-Fi technology (600Mbps). The research, published in the journal Photonics Technology Letter, details how the specialised broadcast LEDs and receivers operate with different fields of view and bands that affect the data transmission speeds. “The link operates over ~3 m range at 224 Gb/s (6 x 37.4 Gb/s) and 112 Gb/s (3 x 37.4 Gb/s) with a wide field of view (FOV) of 60° and 36°, respectively. To the best of our knowledge, this is the first demonstration of a wireless link of this type with a FOV that offers practical room-scale coverage,” the report states. The emerging technology has the potential to provide low-cost wireless internet more securely in localised areas, given that light is unable to pass through walls. 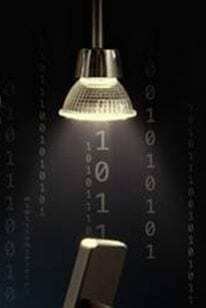 April 24, 2019 - Global LiFi(Light Fidelity)Technology Market Latest Trend, Growth, Size, Applic News.MarketSizeForecasters.comA research report on ' LiFi(Light Fidelity)Technology Market' Added by Market Study Report, LLC, features a succinct analysis on the latest market trends. April 3, 2019 - AIX: AeroLiFi wants to send wi-fi through light FlightglobalAeroLiFi says it is getting closer to bringing to market a solution that transmits IFE data and allows internet connectivity through LED lights in the cabin ceiling. April 16, 2019 - Global LiFi(Light Fidelity)Technology Market Growth Factors, Shares, Opportunities and Forecast to 2024 Healthcare IndustryThis report will help you to establish a panorama of industrial development and characteristics of the LiFi(Light Fidelity)Technology market. April 2, 2019 - Inflight - PEW 2019: aeroLiFi demonstrates its cabin LiFi solution HMG AerospaceaeroLiFi is demonstrating the ability of LiFi to stream video to multiple screens. Company Overview of Lavorazione Industriale Fili S.r.l. - "LIFI S.r.l."